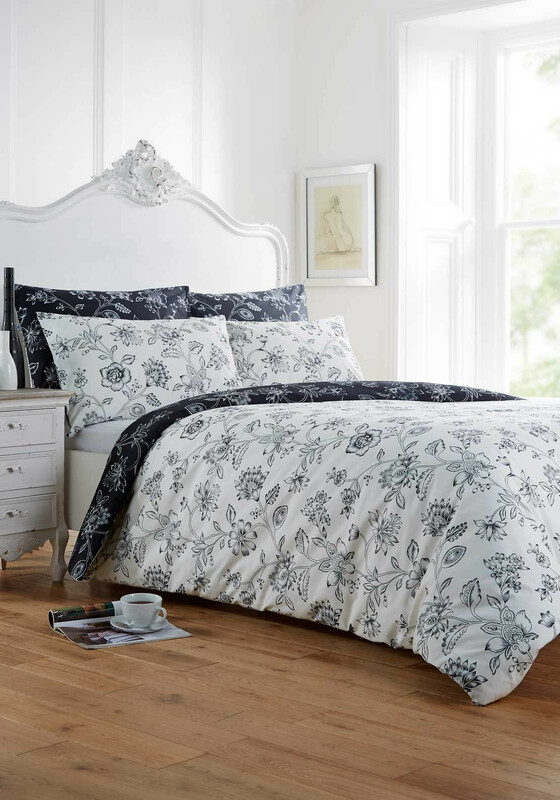 Add a contemporary chic feel to your bedroom with the Amberley duvet cover set by Vantona Home. Featured with a delicate floral print on the crisp white base, the reverse side has the matching print and is presented in black for a versatile look. Two pillowcases are included with the double, king and superking and one comes with the single set.